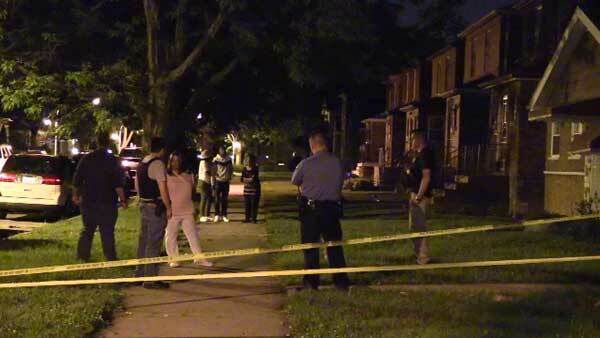 CHICAGO, IL -- A dog killed a young boy on Chicago's south side. Police responded to a call about a dog attack in the 8900 block of South Carpenter Street in the city's Gresham neighborhood around 9:35 p.m. Monday. They said the boy's body was lifeless when they arrived. The child was rushed to Advocate Christ Medical Center in Oak Lawn, where he later died. The boy has not been identified. Sources close to the investigation said he was five years old. Witnesses said the dog looked like a pit bull. Neighbors said they did not realize the child was being mauled at first. "I thought it was just people playing. I didn't know it was that serious. I just thought it was people over there playing," said Marquis Lewis, who lives nearby. Neighbors said they used whatever they could to get the dog to release the child. They hit the animal with rocks and other objects, eventually killing it. "It was really scary because when my brother was trying to get the dog off the boy, I thought the dog was going to turn around and attack my brother," said Bianca White, a neighbor. "I don't know, I wasn't really thinking about nothing but getting the dog off the baby," Lewis said. One neighbor said she was familiar with the dog and didn't know of any previous problems. Area South police are investigating. There is no word yet about the dog's owner or how the little boy came into contact with the dog.